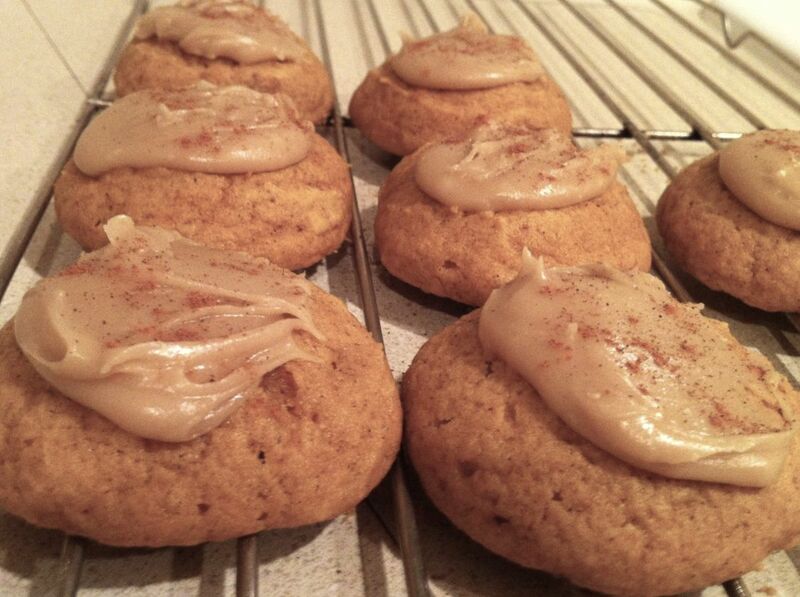 If you're looking for a tasty way to welcome the cooler weather, I'd recommend these cookies. They're cake-like, not too sweet and topped with a nice brown sugar glaze. 2. Prepare the cookies: Cream butter and sugar in a large bowl. Add pumpkin and egg and beat well. 3. In a separate large bowl, sift together remaining dry ingredients. Add to pumpkin mixture, beating to blend. 4. Shape dough into 1-inch balls and flatten into cookie shapes. Place on parchment-covered backing sheet and bake until light golden, 9 to 11 minutes. Remove and cool. 5. Meanwhile, prepare the icing: Combine brown sugar, milk, and butter in a small saucepan; bring to a boil and remove from heat. Whisk in sugar and vanilla until smooth. 6. When cookies are slightly cooled, generously glaze the icing over the tops and allow to cool completely before serving.